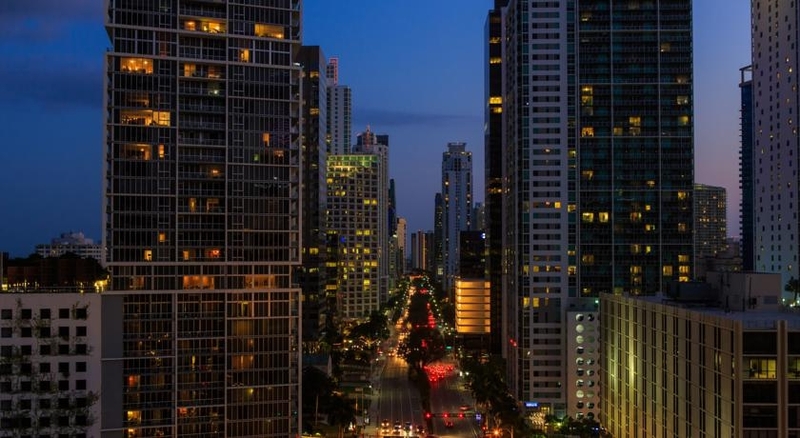 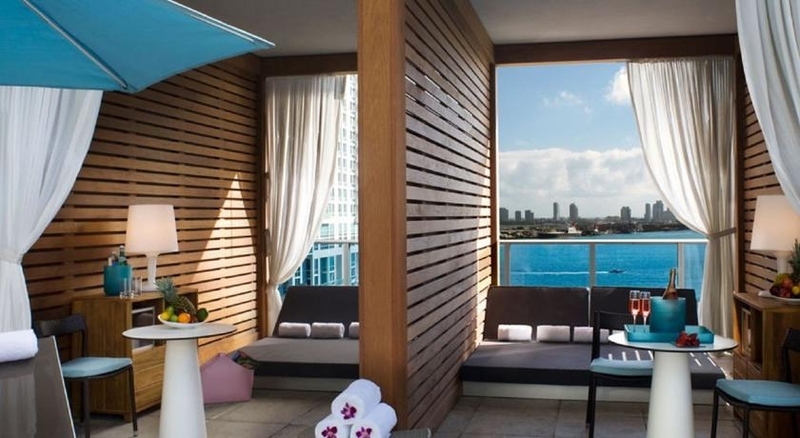 This luxury Miami hotel is in the center of the city’s financial district and offers views of the Miami River and Biscayne Bay. 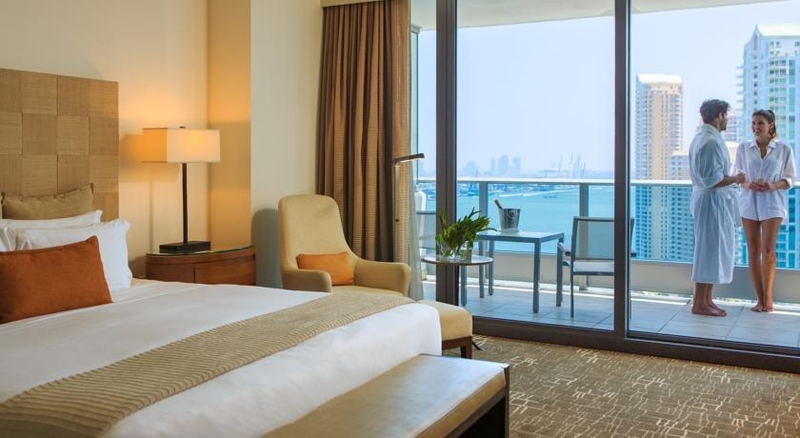 It is eco-friendly and features a full-service marina and spa. 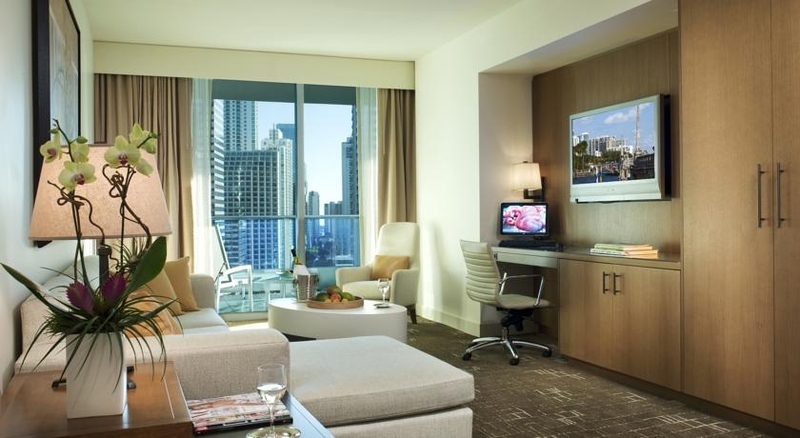 The spacious contemporary designed guest rooms at EPIC Miami, A Kimpton Hotel provide views from the floor-to-ceiling windows. 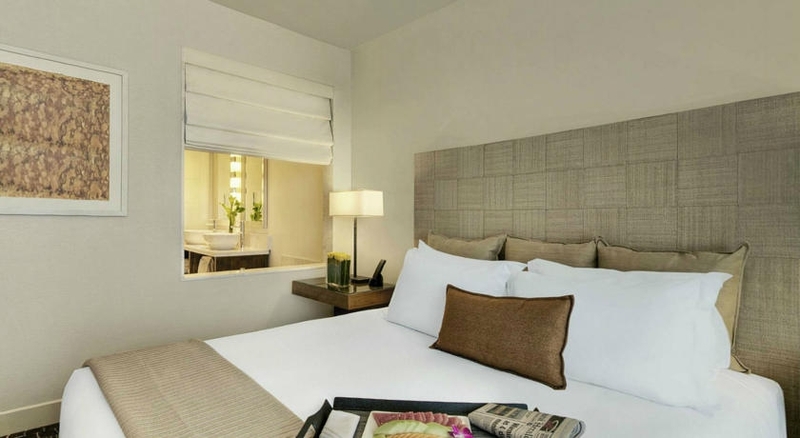 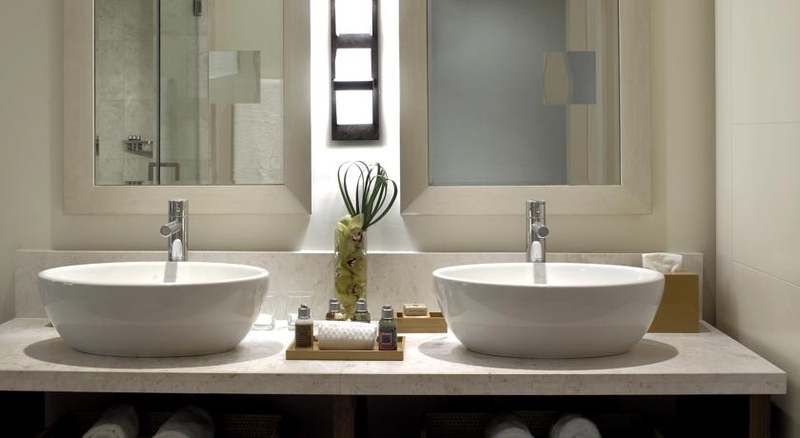 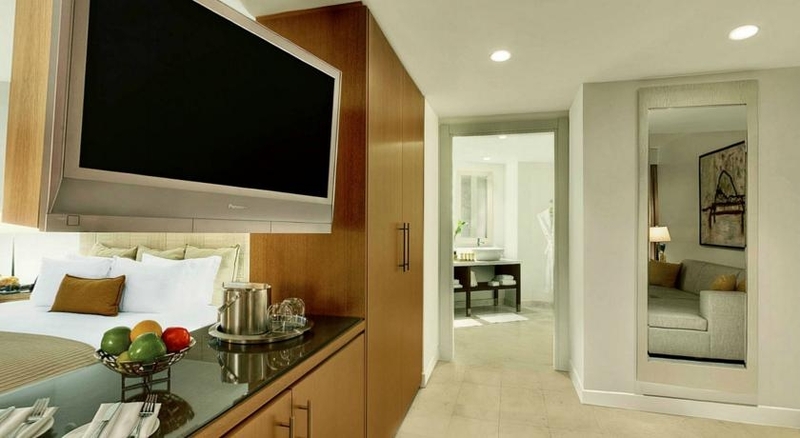 Each room boasts a private balcony and guests can enjoy the fully-stocked minibar that includes gourmet options. 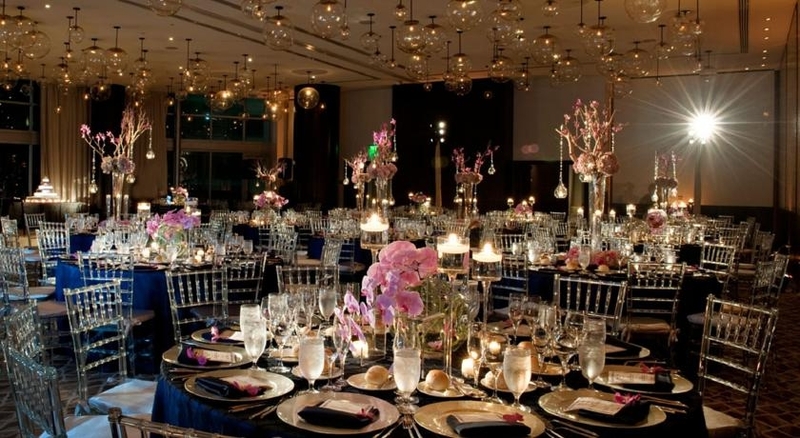 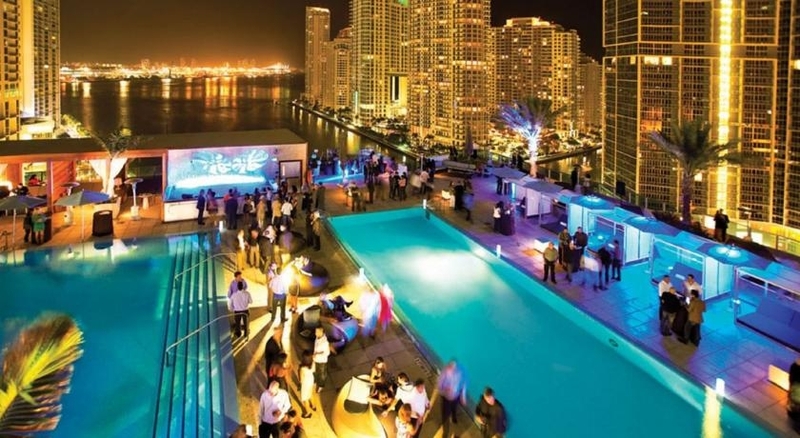 EPIC Miami offers an evening wine hour on select nights. 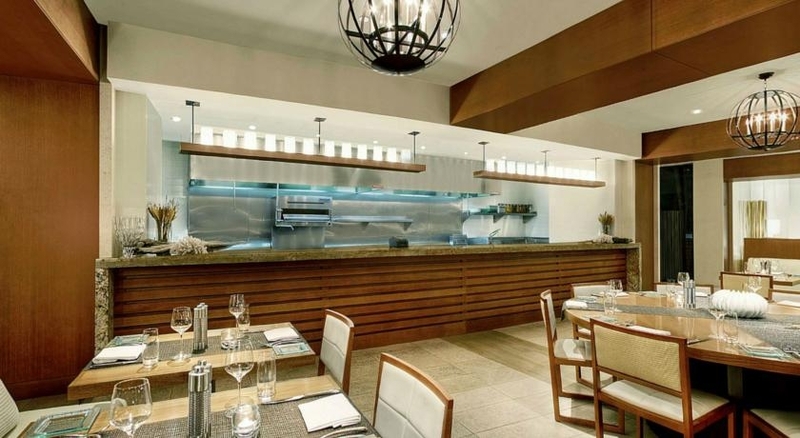 Local seafood is available at Area 31 Restaurant as well as poolside dining. 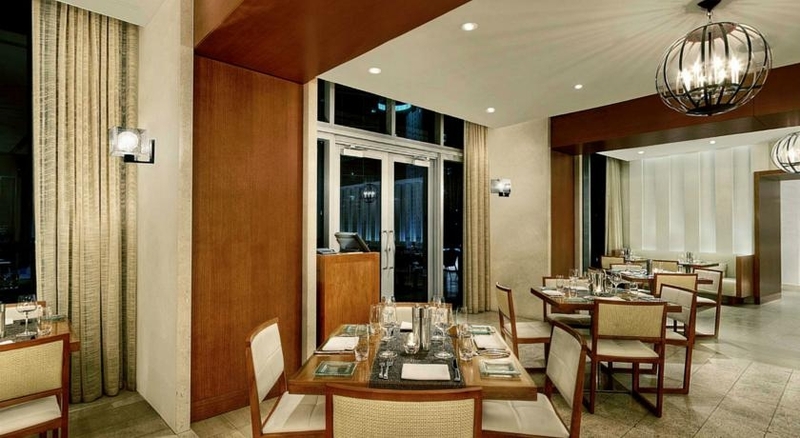 Guests can have drinks at the River Lounge or have Japanese and American cuisine at Zuma. 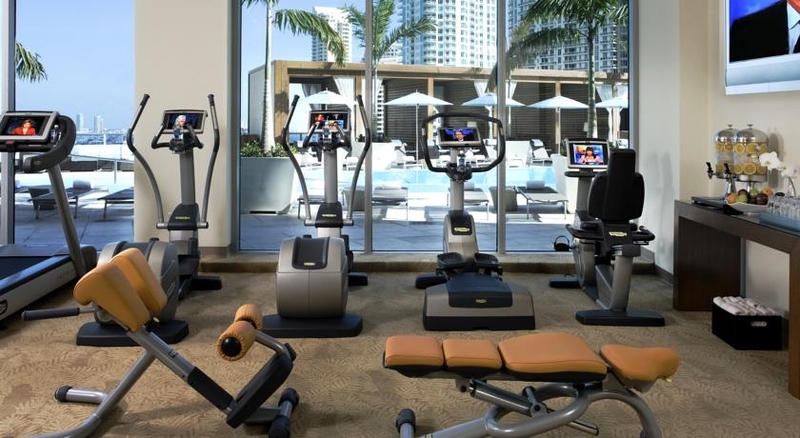 A state-of-the-art gym and yoga accessories are also available at Miami EPIC. 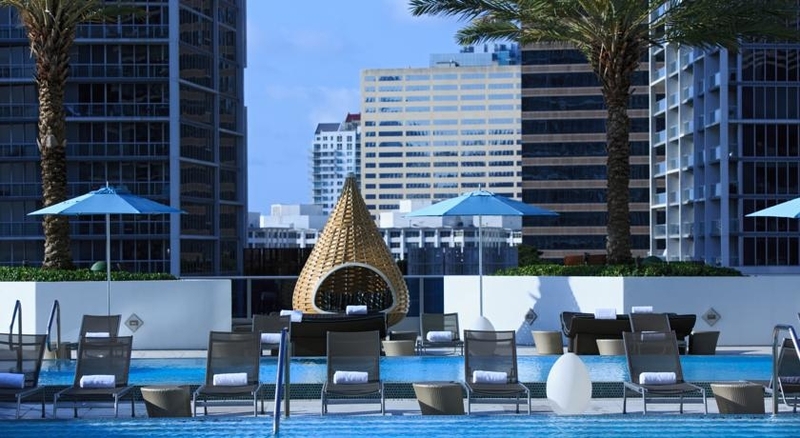 Swimming is available at any of the 3 pools as well as the main pool deck area. 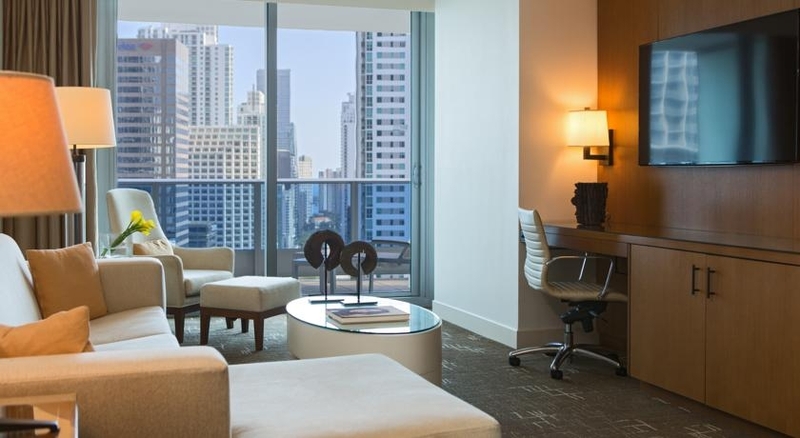 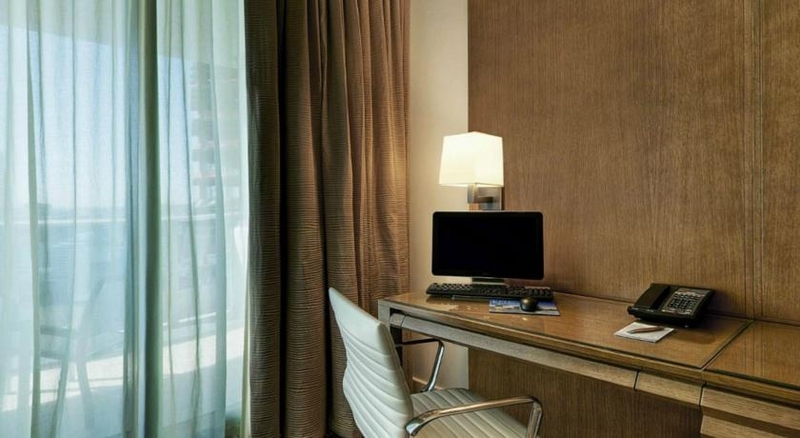 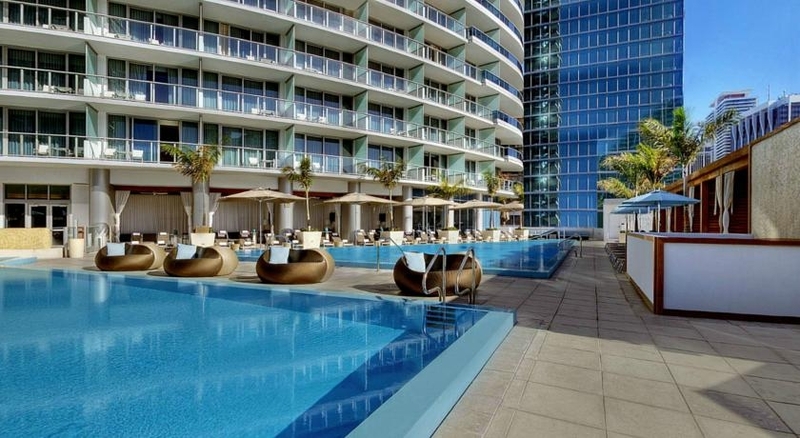 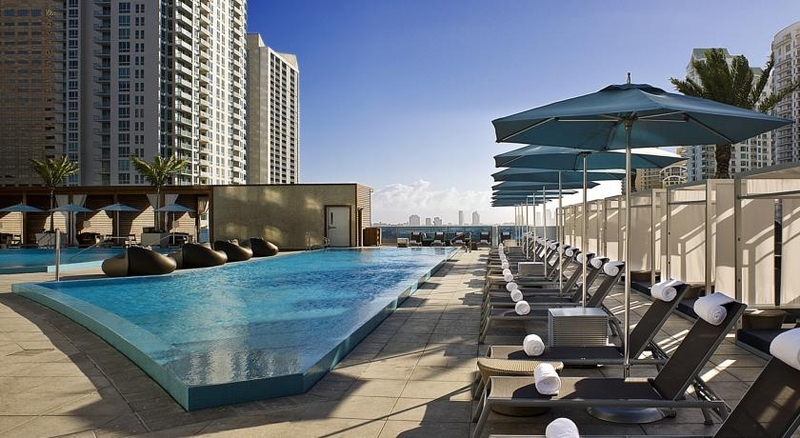 EPIC Miami Kimpton Hotel is 9.3 km from the Miami Seaquarium. 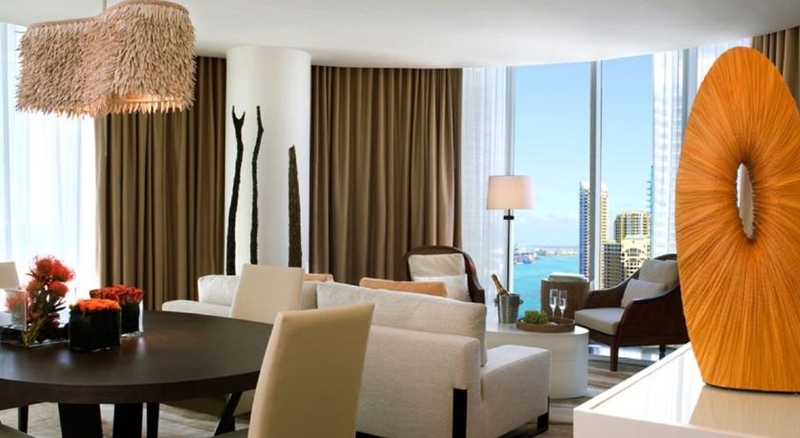 Miami Beach Convention Center is 8 km away.